and this tune is what I fell into. 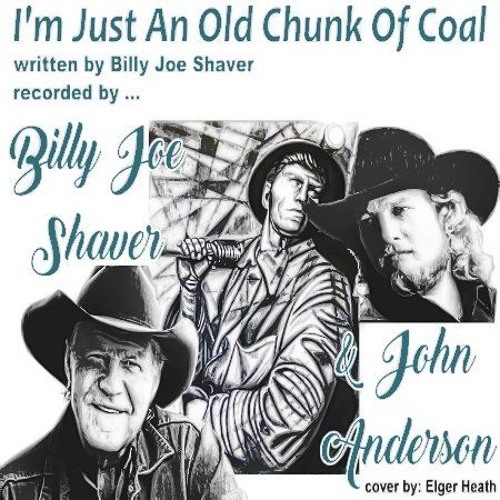 "I'm Just An Old Chunk Of Coal" was written and, originally, recorded by Billy Joe Shaver and later recorded by John Anderson in 1981. I'm not sure why it was this song that came to mind. I had never done it before. I was just playing around with the guitar and playing some minor chords and this tune just fell into play. At first I wasn't sure what it was but I knew that I'd heard something like it before. Then the title came to me, something almost unheard of considering how bad my memory is these days. It was I'm just an old chunk of coal. This is not a tune that I spent a lot of time listening to so I may have gotten the music a little wrong but I was enjoying the piece so I recorded it. It's speed is a little slower then Billy Joe would have done it, but that's because I like things at a slower pace. In the end, I decided to post it, as I do with most of the recordings I make. It may not be fancy, but I think it is a good song, well worth becoming familiar with. If you've got a little spare time, why not check out my cover of this tune and see if it isn't something that you'd like to add to the songs that you like to do. Here's "I'm Just An Old Chunk Of Coal", recorded by, ... well me.